Being lost and undecided is a common feeling amongst students when it comes to what direction to pursue. Having to decide and declare a major can be stressful and sometimes it’s difficult to pinpoint exactly what to do and what students enjoy doing. Classes may be uninteresting, too difficult, and too stressful and students may change majors based on that. However, students are not alone in this common feeling because there are tools that can help us better understand what we may like to explore. This starts with ourselves. 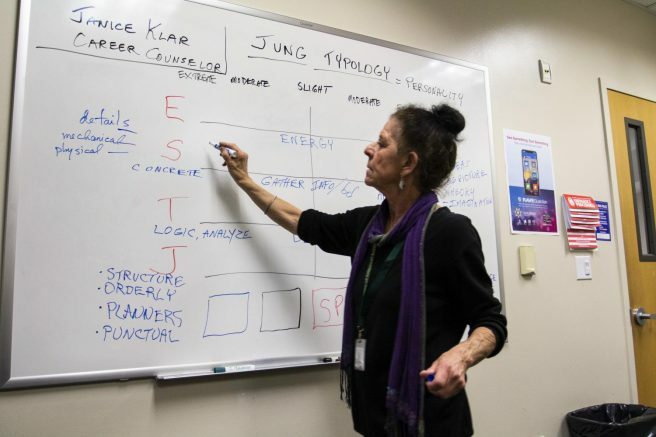 A workshop based on Carl Jung’s book “Personality Types” was held by Janice Klar, a career counselor in the American River College Career and Pathways Support Services (CAPSS) on Thursday, March 21. Klar helps student better understand themselves to help match what career choices they’ll enjoy based off of Jung’s 16 different personality types. Klar, along with about six students at the workshop, used this personality type test to create a blueprint to figure out their strengths, passions, interests and values. From there, they matched that up with a personality type that gave more information to help understand why certain areas in life come easily to us and what we may struggle with. “To be in your own skin means being who you are, this helps students with one of the puzzle pieces,” Klar said. Understanding our natural strengths and weaknesses is an approach to find what we may be interested in. Klar approaches this theory with the idea that we are born with a certain temperament; an imprint of our true nature. Klar worked with students to create preference scales that help narrow their personality type. The preference scales narrowed between two choices: introverted or extroverted, sensing or more intuitive, thinking or more feeling, judging or more perceiving. The career fields and majors that are associated with the personality types act as a guide of what they will enjoy doing based off who they are. 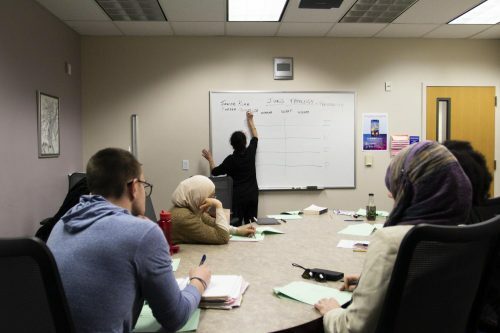 “Part of why students are undecided is because they don’t prepare [students] in high school very well at all and they don’t know how to do the research,” Klar said. Chaiyah Wilson, environmental studies major, determined her preference scale based off what she felt more along the lines between each category. “I thought it was really interesting, I learned a few different things about myself — at the same time I didn’t get [deep into] what I really want to do or who I am quite yet,” Wilson said. Students are able to utilize this service on campus by booking an appointment with Klar in a session to sit down and focus on what pathway they might enjoy. The test is available online at www.humanmetrics.com. Be the first to comment on "Finding direction with personality types"